Affiliate agreements are typically long-winded legal documents, often making them tedious and difficult to read, let alone understand (without multiple reads). 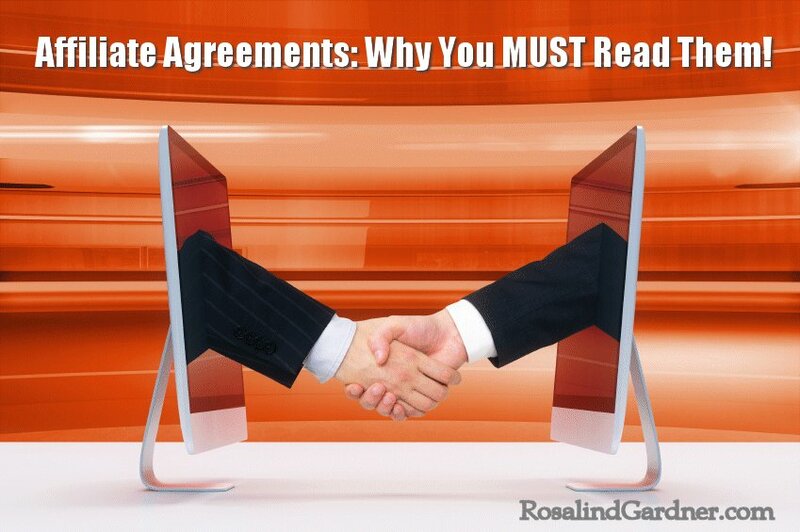 But as affiliate marketers, we must read and understand those agreements! One afternoon about a year ago, I spent a couple of hours logging into affiliate accounts to look for products I hadn't actively promoted in quite awhile. One of those was A Foreign Affair, a dating site that I market on 101Date.com. A Foreign Affair runs their own affiliate program, independent of affiliate networks. Imagine my surprise when I saw that I had earned $5000 in commissions and that the money had been languishing in my account for a LONG time. You can cash out your account at any time (minimum $50 due). Simply login to your affiliate interface and click on the cash out option and we will mail you a check normally within 3 business days. We can also pay by wire transfer and very soon will offer a PayPal payment option. It's a simple process, and pays a generous commission – with LIFETIME PAYOUTS AND TRACKING! Affiliate may make a request for pay out of commissions at any time regardless of the amount of commissions earned. Sadly, most ‘surprises' related to not reading (or forgetting) the terms of affiliate agreements aren't very happy at all. Many of them can result in account closure and even commission forfeiture. To avoid these nasty surprises, pay particular attention to the important clauses noted below. This is just a portion of Amazon's associate agreement regarding Advertising Fees (section 7). Did reading that make your head hurt? Note that you need to know the terms Special Link, Prohibited Paid Search Placement and Qualifying Purchases, to fully understand that clause. Here's an example from Bing Ads. If you though you were getting paid for account signup leads, you'd be sadly disappointed. Many affiliate programs offer different payout options (as discussed in the opening paragraphs of this article). But did you know that accepting a particular type of payment could actually end up costing you money? Payment by Check. If you select payment by check, we will send you a check in the amount of the advertising fees you earn, but we may accrue and withhold advertising fees until the total amount due to you is at least $100. We will deduct a processing fee in the amount of $15 from the advertising fees payable to you for each check we send to you. In other words, opt for either direct deposit or an Amazon gift card! At least Amazon gives their affiliates different payment options. I deal with one dating service that charges me $15 every time they do a direct deposit to my bank account. NOT nice! Here are requirements posted in different affiliate agreements regarding what is, or is not, acceptable content on an affiliate site. Any page that contains shareasale.com links, banners, or code must be written in English. X-rated sites and sites that contain or promote sexually explicit materials; Sites that promote violence or discord; Sites that promote discrimination based on race, religion, nationality, disability, sexual orientation or age; Sites that promote illegal activity, including hacking; or Sites that violate intellectual property rights. Some affiliate programs do not allow URL shortening or redirected links by affiliates. Affiliate accounts that are left inactive will be removed from our system if their balance is equal to or less than $25. If an abandoned affiliate account has a balance between $25 and $50, a $25 fee will be assessed once per calendar month, until the balance is equal to zero dollars – and is closed. At no time will an affiliate ever owe monies to Shareasale.com, Inc. based on fees – the account will simply be closed. 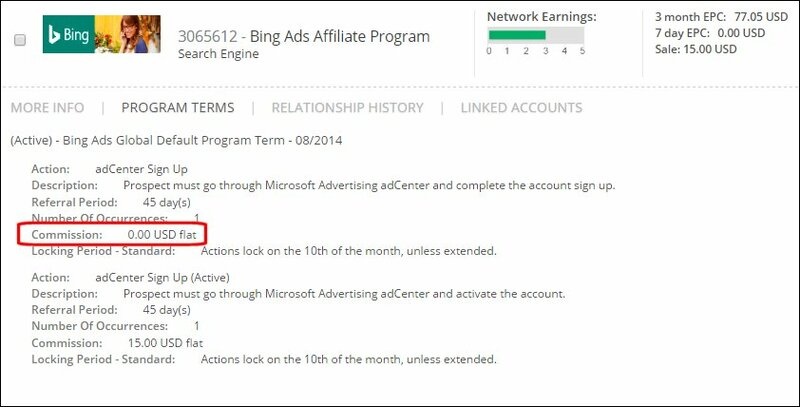 An abandoned affiliate account is defined as any account that has not been logged in to for a period of 6 months, nor have any transactions been posted to that account. If one or the other of those conditions are true – the account will remain in an active state. SPAM. SPAM, OR UNSOLICITED COMMERCIAL E-MAIL, IS ABSOLUTELY PROHIBITED. We will terminate Your Account and immediately dismiss you from the Affiliate Program if We determine that You have sent SPAM or Unsolicited Commercial E-mail, whether in connection with the Affiliate Program or otherwise, and You will not be entitled to any payment or reimbursement for funds remaining in Your PayPal Account. Further, You agree to comply with all U.S. state and federal SPAM laws, including, but not limited to, the Federal CAN-SPAM Act of 2003. You also agree to indemnify Us from any liability connected with SPAM or unsolicited e-mail transmissions by You or connected to You. Programs vary in what they allow in terms of sending to a subscriber list. For example, Carbonite's terms specify that “You may NOT send dedicated email blasts to contact lists unless you receive prior permission from the Carbonite Affiliate Program Manager” while 99Designs allows it provided the subscribers have opted into the list. Here are 2 clauses from Carbonite related to HOW you may promote your affiliate merchants on the search engines. Carbonite does NOT endorse the practice of optimizing for competitor keywords within natural search results (SEO) in order to mislead users into landing, either directly or via a redirect on the Carbonite signup page. Such promotional tactics will result in automatic reversal of commissions and immediate expiration from the Carbonite Affiliate Program. You may NOT apply to register any domain name or trademark incorporating the Carbonite brand (or any part of it including misspellings as outlined in the Protected SEM Bidding Keywords section of this agreement) without Carbonite’s prior written consent. Most of my merchant partners do allow promotion of their products via social media (Facebook, Twitter, etc. ), and some provide stipulations beyond just being ‘Allowed'. Indeed, the Amazon Associates program has a FAQ devoted entirely to acceptable Social Networking by its affiliates. For example, Amazon places its social media affiliate link share buttons directly into the Site Stripe as shown in the graphic below. Here are some typical ‘do-nots' regarding paid search placements. You may NOT bid on any of our trademarked terms, including any variations or misspellings thereof for search or content based campaigns on Google, MSN, Yahoo, Facebook or any other network without prior written consent from the Carbonite Affiliate Program Manager. Publishers may use “eHarmony” in ad copy, but you may not use “official site,” misleading information or derogatory information. I hope this article has motivated you to start reading the agreements posted by your merchant partners. When you've done it often enough, you'll know exactly what you're looking for and they become a lot simpler to read. Did you find this post about affiliate agreements informative and useful? If so, please share it with others! If you have a comment, question or suggestion, please leave a comment below! P.S. This article is part of the Affiliate Marketing Mistakes series. through my online money making journey. THIS IS BOY FROM IRAN BUT LANG TIMES I HAVE REALY PROBLEM WITH PAYMENT FROM IRAN SO YOUR ADVERTISMENT WITH AMAZON SITE IS GREAT WITH UNTILL YET WE DON’T HAVE AFFILIATE PROGERAMS AGREEMENT ABOUT B TO B PAYMENT THAT MEANS I LOOSE TIME AND SO ON. REALATION IS VERY HARD FROM HIER UNTILL THERE CONNECTION BUT THIS IS IMPOSSIBLE INDEED WHEN ONE PROTOCOL AGREEMENT ABOUT B TO B PAYMENT IS NESECCRY AND IMPORTANT FROM US IF WE MOST CONTINUE THE BUSINESS AS SOON AS. ONE MORE I NEED ONE WEBSITE BUIDER FREE OF CHARGE FOR MAKE ONE SITE FOR MYSELF. I hope your opportunities for starting an online business improve soon! As to needing a free website builder, you might consider trying Weebly. Please note, if you really want to start a business online, you’ll need your own website and for that you’ll have to pay a little bit. Read my article, ‘How to Start a Blog‘. Just wanted to send you a quick note to let you know that your link to the Super Affiliate Handbook on your RosalindGardner.me page (http://rosalindgardner.me/about-ros/the-business-side/products/my-books/#Super-Affiliate-Handbook) is not working. It points to an old url or a redirect that isn’t working anymore. Love your posts. Keep up the great work! Thanks, Jeff… I’ll correct that!